Barring the ruling National Democratic Alliance, all sides of the political spectrum have attacked the infallibility of electronic voting machines. Now, the Election Commission (EC) of India has a tough task at hand – to maintain the sanctity of the electoral process. On Wednesday, 16 political parties petitioned President Pranab Mukherjee to revert to the old system of using ballot papers, alleging that EVMs could have been tampered with during the last elections. 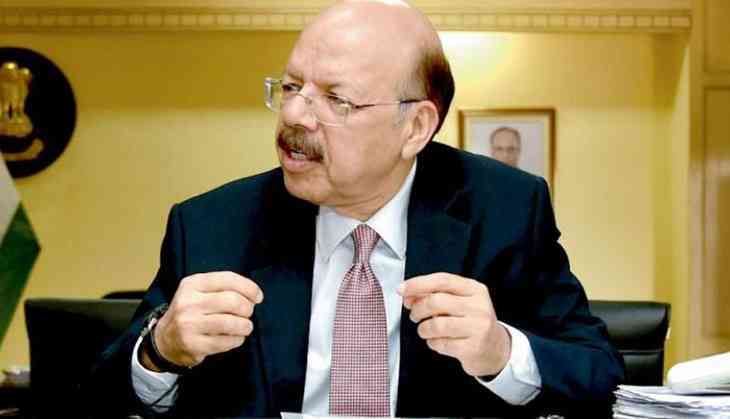 Speaking to Catch, Chief Election Commissioner Nasim Zaidi said the commission was keeping an open mind. “We are here with an open mind. And if somebody gives us credible evidence or material showing EVMs can be tampered with or have been tampered with, we will definitely investigate,” he said. Zaidi has no doubts that the EVMs couldn't have been tampered with. “To tamper with the EVMs, you would need the whole system to connive, from the people at the public sector units who are manufacturing it, to the officials who are involved in transportation and storage, and the people who are on duty during the polling process. In today's age of transparency, where representatives of political parties and candidates remain present at all stages, it is not possible to imagine that the whole system would connive in this manner,” he said. He explained how the EC has several layers of stringent safeguards, including technical and administrative safeguards, in place to ensure that no unauthorised personnel get access to the machines. Zaidi said the EC was attempting to reach out to a wide variety of people to send out the message that it was not possible to tinker with EVMs. “We will do everything possible,” he said. The EC is understood to have received multiple applications over the past few days from several individuals who claim to show that the machines are not foolproof. The EC is planning to invite all activists, political parties and tech geeks, challenging them to show if the machines can be manipulated with. A proposal is already in the works, and the EC's technical officials are firming up the framework before it is announced formally. “It may take another 10-12 days or so,” Zaidi said. However, there will be no monetary award for the challenge. After a serious drubbing in the UP Assembly polls, the Bahujan Samaj Party was the first to come out with claims that EVMs were rigged. Since then, a couple of incidents involving EVMs and how they were allegedly just voting the BJP made news, and added to the doubts on the functioning of the EVMs. “Claims around both the incidents, the one in Bhind and the other one in Dhaulpur in Rajasthan are baseless,” Zaidi said. As soon as the reports came out, the EC had sent teams to both places to investigate the matter. In Bhind, the VVPAT machine reportedly gave out slips showing the vote for the BJP on pressing more than one button. But Zaidi said the inquiry proved the reports false. “Data retrieved from the control unit confirmed that the machine was not tampered with, and that it was working fine,” he said. Zaidi called the incident a lapse on the part of the District Election Officer and the Returning Officer, who did not follow the laid-down procedures of erasing the data when the machine was transported for a fresh election. Moreover, VVPATs were transported from UP not just for the by-elections in MP, but to all nine states. “These states already have EVMs. There was a shortage of VVPAT machines, hence the need to send them from UP,” he said. Questions were raised about how an EVM ended up in MP from UP, since the law stipulates that they be kept in a strong room for at least 45 days. “It was a VVPAT machine, not an EVM,” Zaidi explained. “And it was one of those machines which was kept as a reserve,” he said, suggesting that machine in question was not pressed into actual use in the Govind Nagar constituency in UP, from where it was transported to Madhya Pradesh, but was kept in reserve with 'candidate set'. That may explain why the first slip from the said VVPAT showed the name of Satya Dev Pachauri of the BJP. Zaidi said even the controversy in Dhaulpur was found to be baseless, and just two EVMs developed small snags, not 18 EVMs, as was reported. The inquiry report did not indicate any malfunctioning or evidence of tampering in the EVMs. “No political party, candidate or voter complained that there was any issue with the EVMs,” he said, explaining how EC officials went around the area looking for testimonies. The Supreme Court of India, in a bid to make the electoral process more transparent, had ordered that VVPAT machines be made mandatory in elections. However, with the government not releasing funds, there is a serious shortage of such machines. There are 52,000 VVPATs available with the EC at the moment, while another 33,000 are expected to arrive in the next couple of weeks. However, this number is still way short of the 15 lakh machines required across the country. “For production of the remaining units, the government has to release funds, the public sector units need to manufacture them on time, and then the PSUs need to supply them to us,” Zaidi said.